I just made the most amazing dessert. Salty, buttery, rich and the perfect amount of sweet. 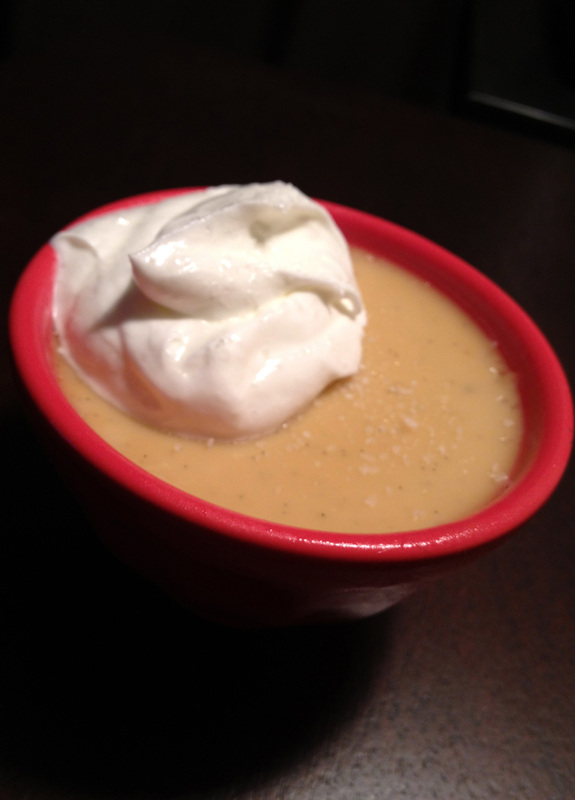 This Butterscotch Budino is the most amazing custard. I make a mean panna cota that I’ll share with you one day, but it’s nothing like this guy. The recipe is from Gjelina, one of the best restaurants in Los Angeles. It was featured in Food & Wine Magazine last September, and I remember being surprised that they just up and gave this recipe away. 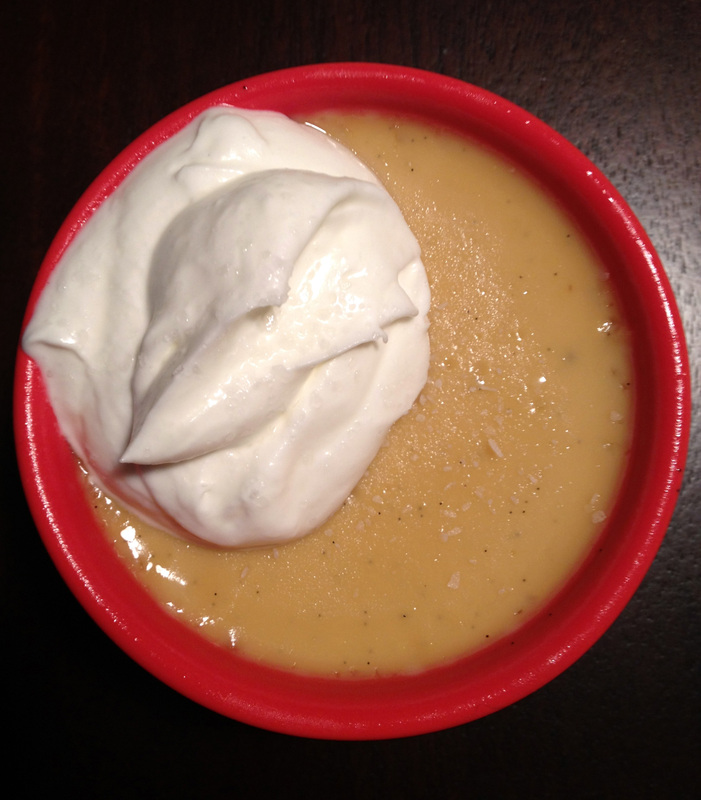 The Butterscotch Budino is one of their signature desserts – there was no way this relatively simple recipe could create that sinful custard. But last week, a girl I work with was craving the yummy Gjelina dessert, and I remembered that I might have the secret ticket to not having to actually go in and spent the $150 in dinner and drinks just for that one dessert. So for all of you who don’t live in Southern California, or those of us who can’t afford to go and hang out on Abbott Kinney every time we’re craving incredible dessert, here is the only custard dessert recipe you’ll ever need. Until you’re craving chocolate, I suppose. And I know Brad has a killer recipe for that. I’ll work on getting it out of him. In a large heatproof bowl, whisk the egg yolks. Gradually whisk in the hot cream mixture. 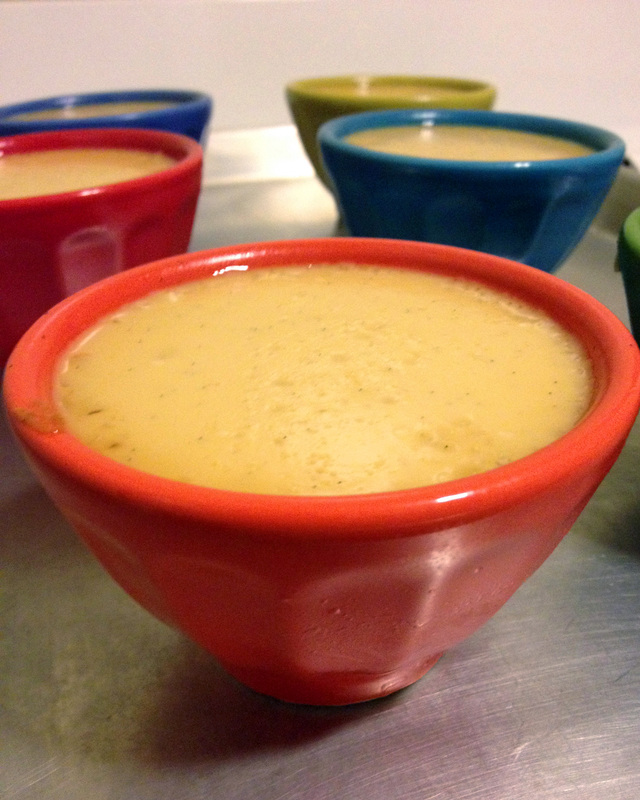 Strain the custard into eight 6-ounce ramekins. Set the ramekins in a small roasting pan and place it in the middle of the oven. Fill the roasting pan with enough boiling water to reach halfway up the sides of the ramekins. Cover with foil and bake for 1 hour, until the custards are set but still slightly wobbly in the center. Transfer the ramekins to a baking sheet and refrigerate until chilled, 4 hours. Top the pots de crème with lightly sweetened whipped cream, sprinkle with Maldon sea salt and serve.